Regenexx® Stem Cell Procedures are the nation’s leading non-surgical stem cell procedures for common joint injuries and arthritis. Arthritis of the hand and thumb (basal joint arthritis) are extremely common and can actually begin to affect people at a relatively young age when compared to arthritis of larger joints. Injuries to the hand, wrist and thumb are so common among athletes that they have earned themselves sport-specific names like “skier’s thumb” or “gamekeepers thumb”. Overuse conditions such as “gamer’s thumb”, which is a repetitive stress injury of the thumb, are becoming more common as people spend longer periods of time interacting with mobile devices and game controllers. Our hands play such an important role in our daily lives, that these conditions can be debilitating and life-altering. The majority of these hand and wrist conditions can be treated non-surgically with stem cells, platelet rich plasma or prolotherapy. As part of the Regenexx Network, Vermont Regenerative Medicine offers the nation’s most advanced Stem Cell and PRP procedures available in the United States today. Call us at (802) 881-0255 for an appointment to evaluate your condition, or complete the Candidate Form below for more information about our stem cell treatments and to learn if you’re a good candidate for one of these procedures. Stem Cells are in all of us and they are responsible for healing injured bone, ligaments, tendons and tissues. 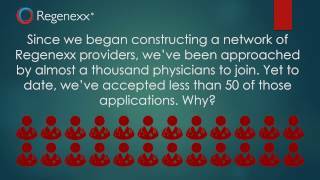 They are the key component behind the Regenexx Procedures. As we get older or injured, we sometimes cannot get enough of these cells into the area in need. The Regenexx Procedures help solve that problem by precisely delivering a high concentration of stem cells and growth factors into the injured area, aiding your body’s ability to heal naturally. Many arthritic conditions and injuries related to the hand, wrist and thumb can be treated with stem cells or platelet rich plasma injection. Regenexx patients are able avoid the long, painful rehabilitation periods to restore joint strength and mobility following invasive surgery, and they experience very little down-time from the procedure, if any at all. If you are suffering from an ankle or foot injury, or a degenerative condition like osteoarthritis, you may be a good candidate for these ground-breaking stem cell and blood platelet treatments. Please complete the Procedure Candidate Form below and we will immediately email you more information.